We had some beautiful weather this past Sunday! 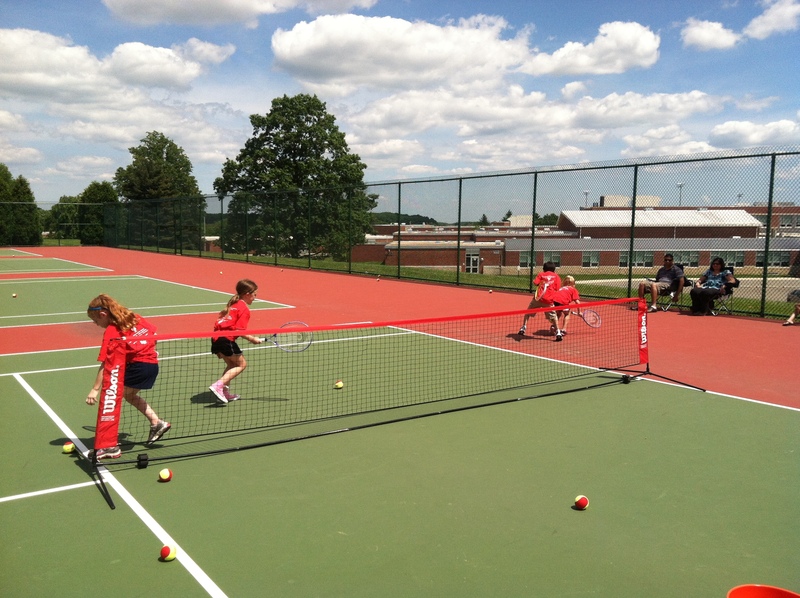 Lots of sun, no wind, and ideal tennis conditions. We started things off with the 8 and under division. In the first match, the Blue Dolphins took on the Lime Lions. In the first doubles battle, Neil and Emily of Lime narrowly edged out Dylan and Gianna of Blue by a score of 7-4. 6-7. 7-6. What a close match! In the first singles match, Dylan of Blue had a nice comeback at the end, but it wasn’t enough, and Neil ended up coming away with the victory for Lime by a score 7-1, 7-6. Gianna was also strong in singles, giving Blue the 7-1, 7-0 victory over Charlotte of the Lime team. The second doubles match, which was on my court, was just as close. Cara and Nikhil of Red came on strong in the third set, earning a win over the big serving duo of Joseph and Mason of Yellow. The final score of this one was 4-7, 7-6, 7-1. I noticed in this match that all players served better and better as the match went on. In singles, Nikhil of Red played consistently, defeating Mason of Yellow by a score of 7-1, 7-3. In the other singles match, Alice of Yellow defeated Cael of Red in 2 close sets, 7-4, 7-4. Red Seals are the winners by only 6 points! In the first match, the Blue Tigers took on the Lime Lemurs. Erik Mendenhall was the only player there for Blue. Great job representing your team! In his match, he took on Ian from the Lime Lions, and Ian played very well, earning the 4-0 win. for lime. The rest of the matches were exhibitions since Erik was the only blue member there. One exhibition that I supervised that was particularly good was Alyssa (Lime) vs. Madeline (Red). They played out some great points and started to understand the scoring very well. In the second match, the Yellow Panthers took on the Red Peregrine Falcons (in case you were wondering, its an extremely fast bird). In singles, Noah and Lloyd fought to a 3-3 tie, achieving greater consistency and point structuring as the set went on. In the other singles match, Madeline of Red defeated Samantha of Yellow by a score of 4-2. In Doubles, Lloyd and Maya of Red played patiently, earning the 4-2 win over Noah and Samantha of Yellow. The first match had the Blue Eagles facing off against the Lime Pythons. In a particularly fun doubles match, Abby and Charlotte, the sister due of Blue, defeated Zach and Kate of Lime. In this match, the Lime team despite the loss, were really starting to understand doubles playing, positioning and scoring. So much that at the end of the match, they wanted to keep playing! In a very close singles match, Amelia of Blue defeated Kate of Lime on Coach Kenny’s court by a score of 4-3. In the other singles match, Kate’s sister Nicole of Blue defeated Courtney of Lime by a score of 4-2. Lime only had 3 players in attendance, so they defaulted the second doubles court as well. The second match was the Yellow Jackets against the Red Hawks. There were a fair amount of sick and/or injured players this week, so only 2 members of the red squad were present. Despite the small turnout for Red, they did their best to play big. In doubles, Reed and Rachel of Red (wow, that’s a lot of R’s) edged out Abby B and Lewis of Yellow by a score of 4-3 on Coach Jeff’s court. Red defaulted the second doubles match. What I didn’t mention in this post is the great exhibition matches that were played as well. 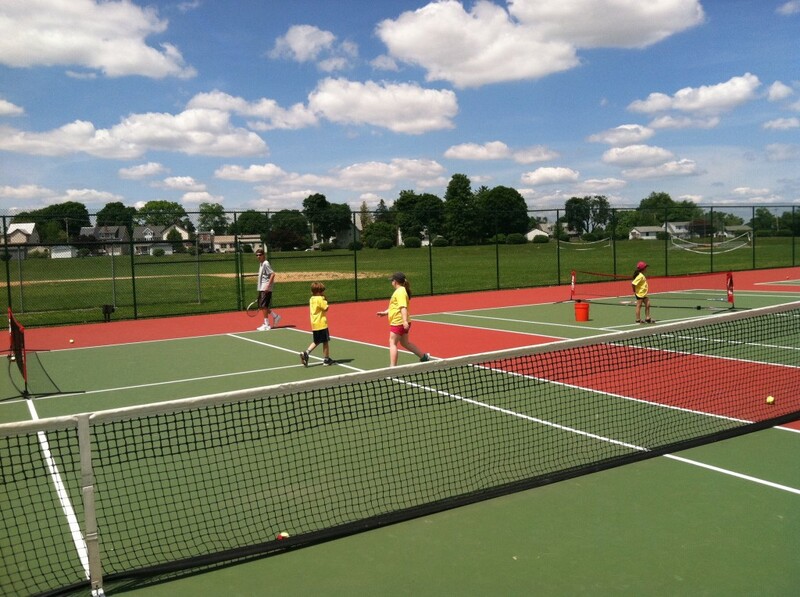 Since we were fully staffed with an assortment of coaches, we were able to put on a lot of exhibition matches so the kids got a chance to play both matches and fun games on the practice court. The benefit of the PATTA leagues is that there is always an opportunity for your child to participate. In other team sports, there is ample time sitting on the bench or standing around in the outfield waiting for the ball to come your way. 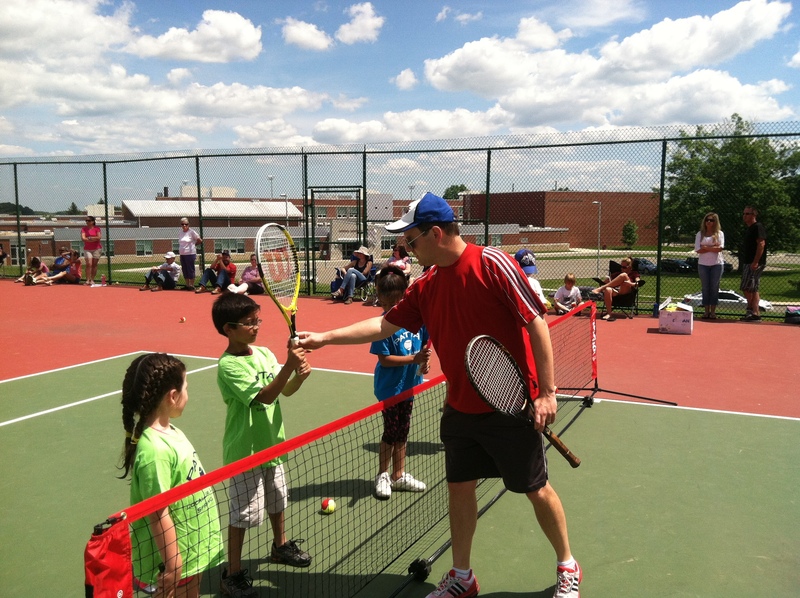 But with tennis, you have so many opportunities to participate! Here are some pictures from the week. I will most likely not be there, but Coach Greg will be there with the staff to run yet another fun session.